The statistics are alarming, and the effect on many is grand. I know this all too well because I lost my mother to breast cancer in 2013. It has undoubtedly changed my entire life, but I truly believe that there will be a cure. Sweating, taking care of my health and consistently taking steps toward early detection and awareness have inspired this hope, so join me and the efforts of these incredible fitness brands and organizations by showing your support for breast-cancer awareness this month. For over 10 years, Lady Footlocker has been contributing to the cause, and now its sister companySIX:02 is also part of the movement. Both are offering a limited-edition awareness collection showcasing graphic tees; they will donate $5 to the ACS with each purchase. 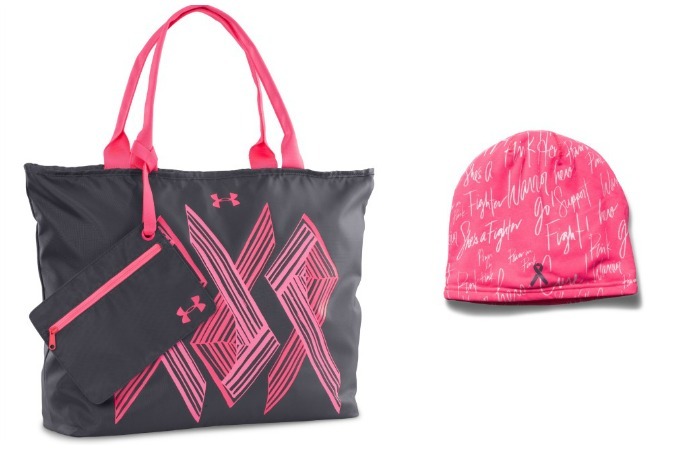 Sweat in style and make a difference in the Under Armour Power in Pink Collection. By celebrating the many women who use fitness and exercise to stay healthy, Under Armour is proud to serve as a platform to help raise awareness about breast health. 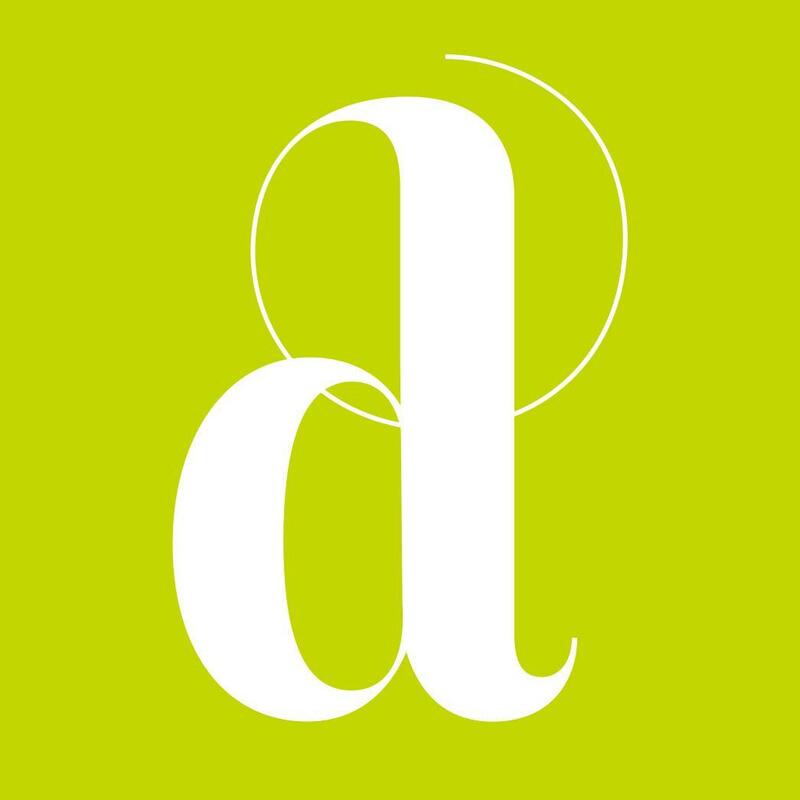 In fact, past success has allowed it to commit to a gift of $10 million to create the Under Armour Breast Health Innovation Center at the Johns Hopkins Kimmel Cancer Center. 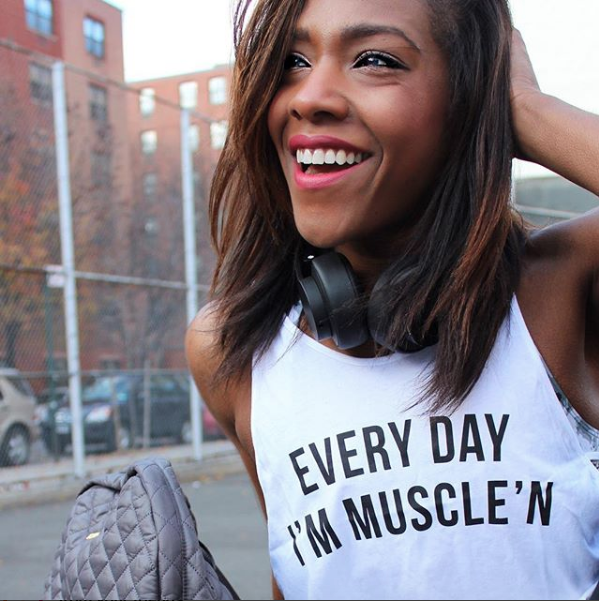 Work out for the cure and head over to Carbon 38. 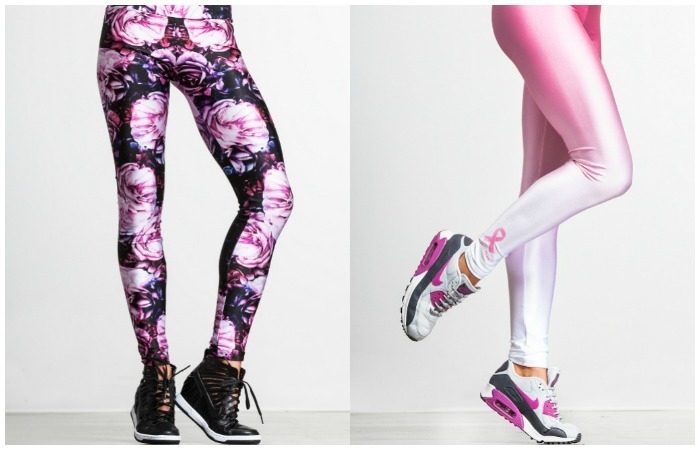 In honor of Breast Cancer Awareness Month, the premier destination for fashion-forward activewear is offering two exclusive new leggings. Both were designed and produced by Gold Sheep in Los Angeles. For every pair sold, $10 will be donated to the Susan G. Komen organization. The floral pair is named for the marketing director’s mother, Tricia, who is a breast-cancer survivor. And the ombre pair is named for her aunt Gail (Tricia’s sister), who lost her battle with breast cancer in 1989. 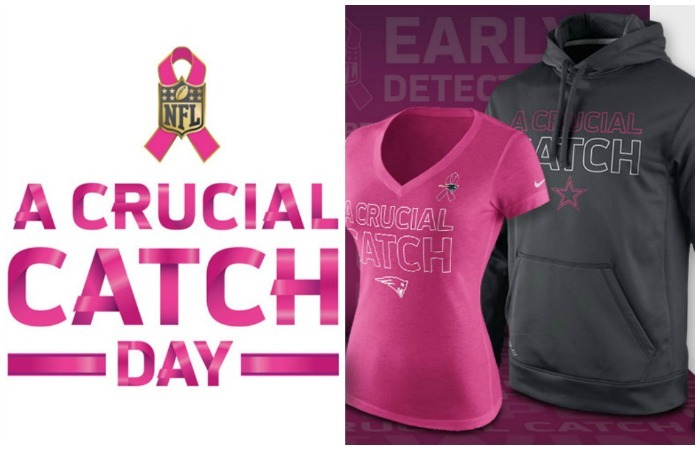 Help make “A Crucial Catch” in breast-cancer awareness with the NFL. Its campaign in partnership with the ACS supports annual screenings, so look out for all the players, coaches and referees rocking pink apparel throughout October. 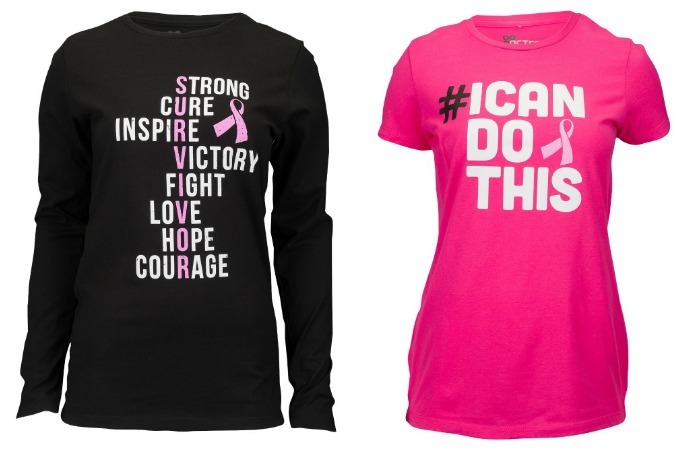 You can bid on these looks at the NFL Auction or head over to the NFL Shop to buy pink today. America’s favorite suspension trainer, TRX, proudly donates 10 percent of your purchase of its TRX Pink Pro Kit to Bright Pink. 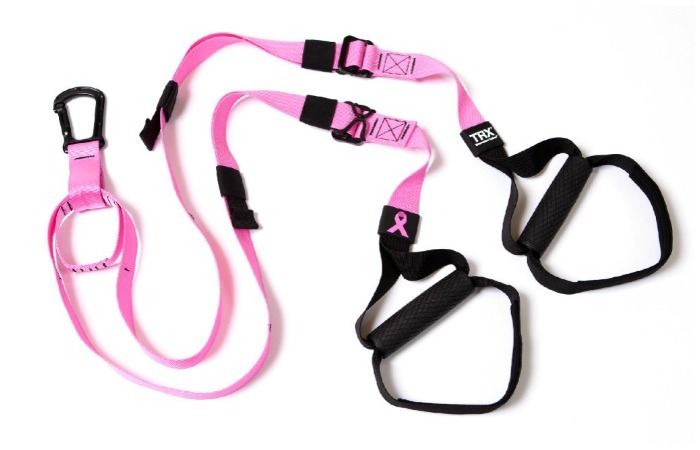 Bright Pink is the only national nonprofit organization focusing on the prevention and early detection of breast and ovarian cancer in young women, so shape up and be empowered with TRX. New Balance is making moves in support of breast-cancer awareness, ladies, and you can join in on its efforts, too. 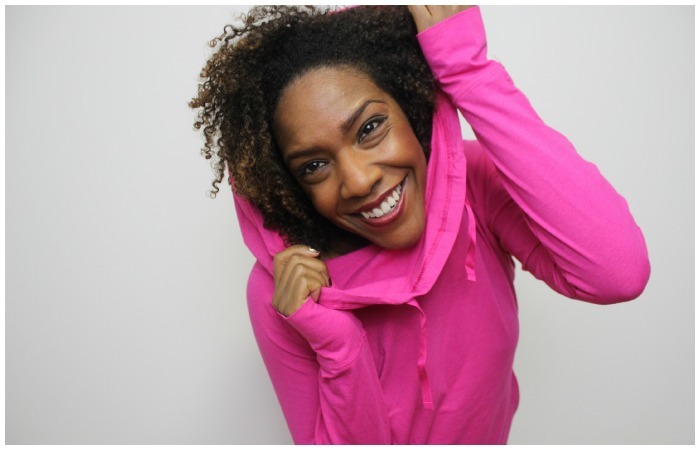 In 2015, 2016 and 2017, it will contribute 5 percent of the manufacturer’s suggested retail price of each product sold from New Balance’s Lace Up for the Cure Collection to Susan G. Komen—with a guaranteed minimum donation of $500,000 each year. 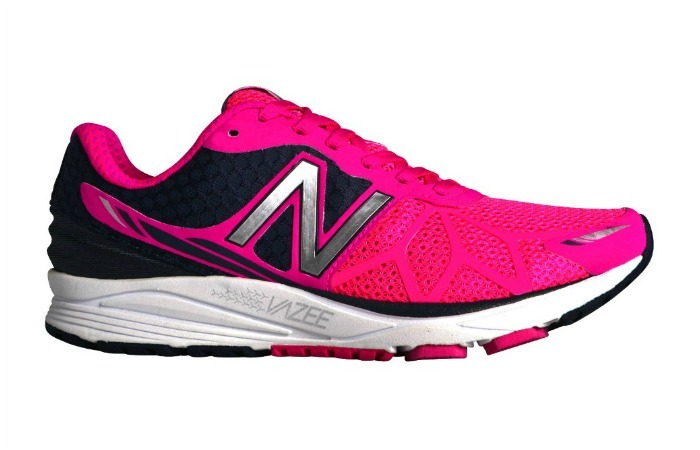 Help it take a step in the right direction with its special Pink Ribbon Vazee Pace running shoe or its other apparel options here. 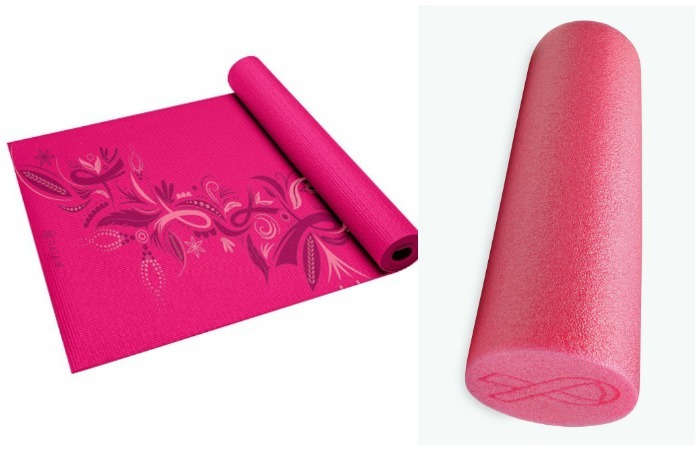 Honor your body, spirit and breast-cancer research next time you practice with Gaiam’s Forever Pink Mat or Pink Ribbon Foam Roller. For every purchase, $1 will be given to the Breast Cancer Research Foundation. 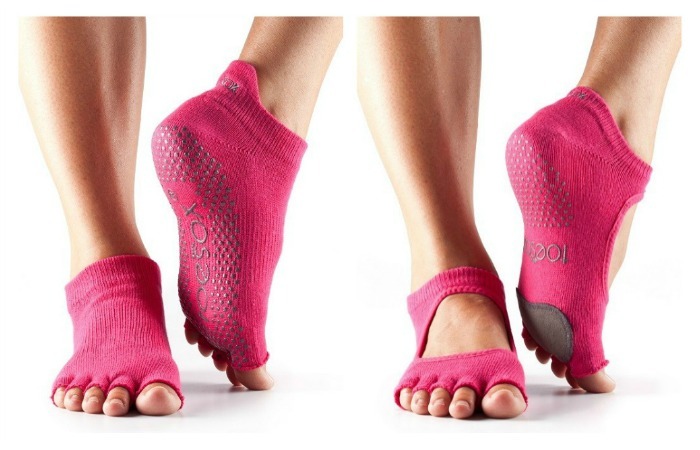 Next time you hit the barre, don’t forget your ToeSox. The brand will donate 5 percent from the sales of any of its fuchsia grip socks to the Keep a Breast Foundation to support its preventive programming. 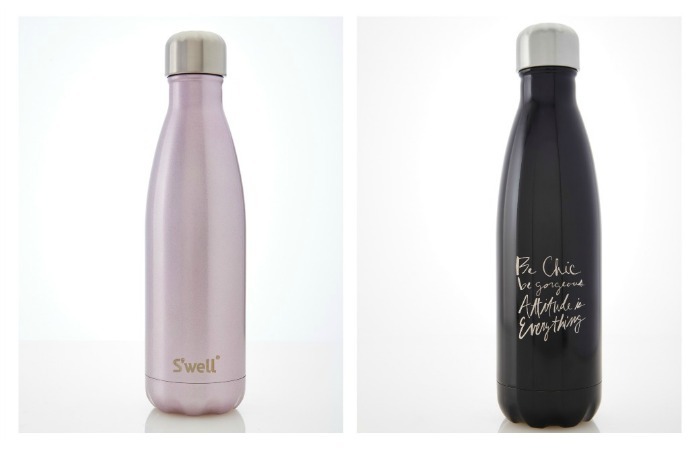 Stay hydrated and support the cause this October with S’well. For each Pink Champagne bottle sold, it will donate 20 percent to the Breast Cancer Research Foundation. Also, S’well has teamed up with the Council of Fashion Designers of America and BCBG Max Azria to create a limited-edition bottle sold exclusively on Joyus. 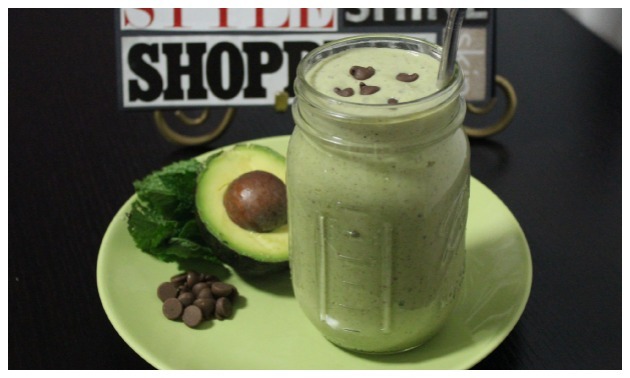 Twenty percent of the proceeds from each bottle will go to Fashion Targets Breast Cancer. Drink up, and together we can all #BeTheEnd of breast cancer and part of a cure.